Discover beautiful music in beautiful places. 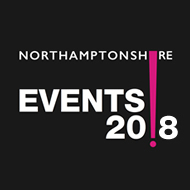 Fiori Musicali bring alive the worlds of Vivaldi, Bach and Mozart in superb historic venues in and around Northamptonshire with concerts of choral, orchestral and chamber music throughout the year. Founded in 1983, Fiori are one of the UK’s principal providers of classical and early music concerts outside London. Fiori’s passion is to bring to life the music of the past, making it accessible to all. Showcasing some of today’s finest specialist musicians, Fiori perform as a chamber ensemble, a choir and as a nationally recognised chamber orchestra. Never ‘off the shelf’, Fiori’s concerts are unique, melding artistry and atmosphere to create musical experiences ...that inform and inspire. Seriously interesting music directed by Fiori Musical's founder Dr Penelope Rapson. Fiori Musicali's concerts in venues around Northamptonshire are throughout the year.